A male adult of Wesley has to hand over one thousand dollars to his cousin within six months or face one month in prison. He also has a two year suspended sentence hanging over him after lawyer Darius Jones put in a plea in mitigation on his behalf. Kelvin Bazil of Wesley who pleaded not-guilty to two charges related to wounding at the January 2013 assizes changed his plea to guilty of wounding his cousin Prescott Abraham in Wesley on Tuesday March 27, 2012. 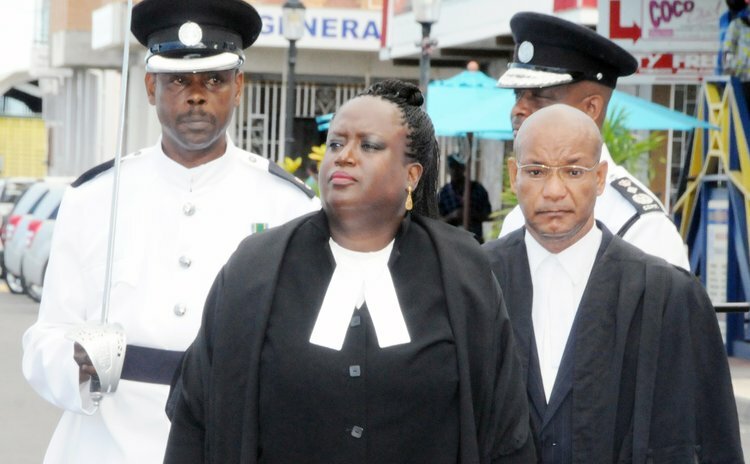 State Attorney Arthlyn Nesty and Director of Public Prosecutions Julian Prevost told the Roseau High Court presided over by Justice Birnie Stephen on Wednesday May 22, 2013 that Bazil was painting when the virtual complainant Abraham came by asking for a job. Bazil told Abraham in the presence of witnesses to stop bothering him. But Abraham was persistent. Bazil picked up a stone and threw it at Abraham, injuring him in the face and forehead. Abraham was taken to the Marigot Hospital where he was treated and admitted for two days. The doctor who attended Abraham noted the stench of alcohol on his breath. The police were called in and the matter was investigated. Bazil told the investigating officer that Abraham provoked him. "I told him to stop several times. I knocked him out with a stone," he said. Bazil was charged with wounding with intent and wounding. Jones told the court that Bazil was deeply remorseful about the situation. He tried to justify his action, but never denied what he had done. He was throwing himself at the mercy of the court. Jones asked the court to consider that it was a spontaneous act and he hoped the court would not impose a custodial sentence on Bazil. But Justice Stephenson noted that the court had to show its concern at the prevalence of the nature of this offence. She observed that he had a similar offence a long time ago and would not influence the court.